The town of Sabae, located in the Fukui Prefecture, north-west of Kyoto, boasts an eyeglass frame manufacturing industry that produces 96% of the eyeglasses made in Japan. The eyeglass manufacturing industry of this small town is supported by industrial skills that have been passed down through generations for more than 110 years. JAPONISM was launched there in 1996 as the flagship brand of Boston Club Co., Ltd., a company specialized in eyeglass frame design that has been based in this region for more than 30 years. In 2016, the brand celebrated its 20th anniversary. At the time the brand was launched, products under the licensing of foreign brands were popular. Under this system, foreign brands authorize companies that have passed quality controls to use their name. At that time, the renown of a brand was more important than the product design or quality. During the visits that he made to the eyeglass factory almost every day, Kazumi Komatsubara—the founder of the company and the brand—noticed the wonderful work achieved by the techniques used in Sabae. He was then convinced that eyeglasses made in Japan would enjoy great success worldwide. This is how JAPONISM was born out of the strong will to make a brand made in Japan available throughout the world. The name of the brand has its origins in the exhibition ‘Japonism in Fashion,’ that Kazumi Komatsubara visited in Kyoto. *This exhibition was first organized in Kyoto in 1994. Over the nine years that followed, it was held in large cities around the world, including Paris, New York, and Wellington. 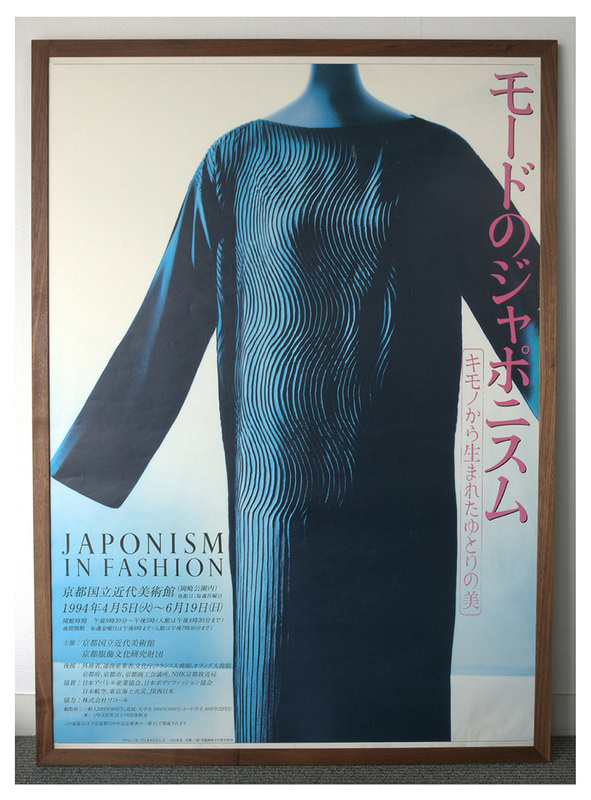 The exhibition demonstrated—for the first time—the great influence of Japanese aesthetics, called ‘Japonism,’ have also initiated major changes in the Western fashion industry. Full of admiration for the clothes and textiles exhibited there, Kazumi Komatsubara understood that ancient Japan had made the world shake. Right after the end of the shogunate and the reopening of Japan, Japanese art spread throughout the world and became a source of inspiration for young designers of different styles, particularly in Europe. It gave birth to a new movement, Japonism, which, in turn, influenced the arts and fashion of Western countries. After considering these strengths and seeing the hidden possibilities of Japan with his own eyes, Kazumi Komatsubara realized that he had to achieve his idea. This is how he created the original Boston Club brand, JAPONISM. In 1996, the year the brand was launched, the first collection was presented at IOFT—the most important optical trade fair in Japan, which was first held in 1987. The concept of this product line, which was named Neoclassical, consisted of making Japanese eyeglasses that expressed the capacities inherent to unique technologies from Japan. The same year, Boston Club exhibited its products at the International Vision Expo in New York. From then, Boston Club products began to be sold in many famous shops, including Robert Marc. Boston Club has been participating in SILMO in France and MIDO in Italy since that time, and is still striving to achieve the original dream of Kazumi Komatsubara. JAPONISM has now become the main brand of Japanese-made eyeglasses in Asia, Europe, and North America. 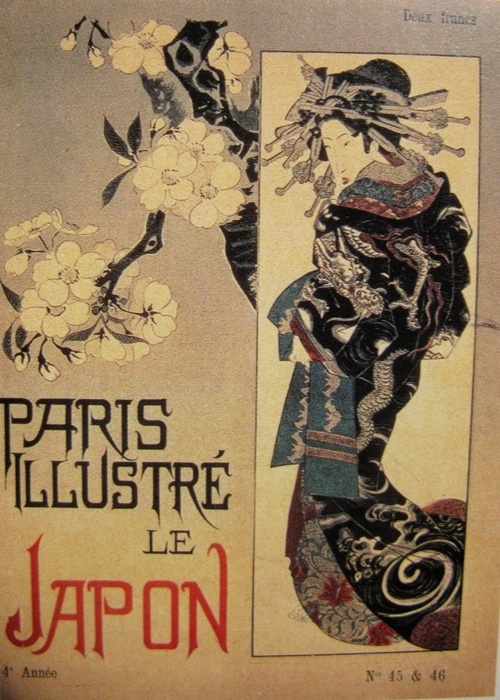 The term ‘Japonism’ was first heard in France in the 19th century. In that time, Europe discovered the Chinoiserie style, and objects from Asia with excessive Asian sensibility enjoyed considerable popularity. This was also the time when Japan opened its borders after more than 200 years of isolation, making it possible for Japanese art to travel to Europe. Moreover, exhibitions of Japanese objects at the 1867 International Exposition in Paris attracted a lot of attention and raised a great deal of interest for a wide range of Japanese-made products Japan. At first, Japanese pieces of art that could be seen in Europe were called ‘Japonaiserie,’ in the same way that objects of Chinese culture were referred to as ‘Chinoiserie.’ However, the influence of Japanese art on Western artists became more and more important and could also be noticed in their work. 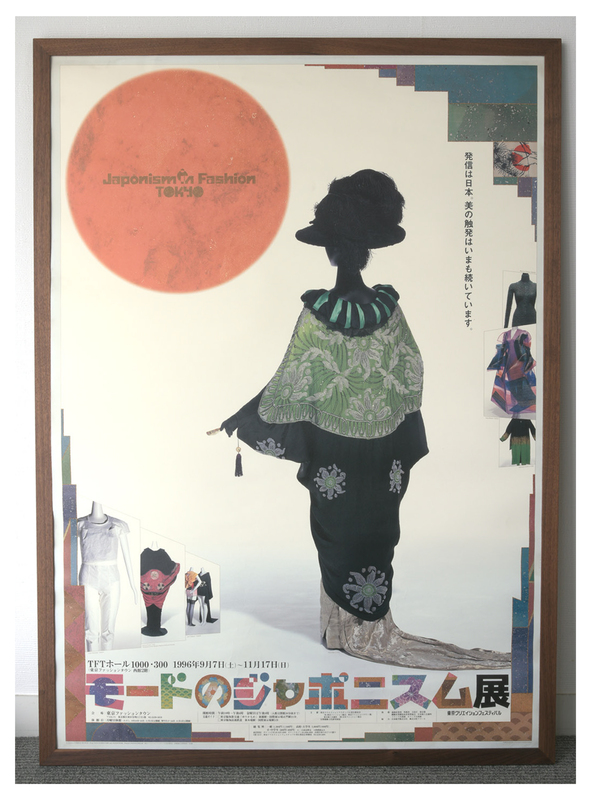 Japonism was then used to designate the great influence that the Japanese culture exerted on European arts and fashion. A magazine of the time that was reproduced by Van Gogh. Among these influences, ukiyo-e had a great impact on the numbers of main impressionists during their youth. It is said that Van Gogh, who was only able to sell one painting while he was alive, owned 477 woodcuts. From this, we can assume that they were affordable. Its ability to diffuse easily is considered to be one of the main factors that made Japonism so popular. Ukiyo-e woodcuts were also quite inexpensive in Japan, costing around 400 yen in today’s money (about 3.5 dollars). Some people even used old woodcuts to wrap tableware. There is also a story saying that some Western collectors were looking for authentic ukiyo-e in such wrapping materials. Considering the influence of ukiyo-e on painting, which was very important in the Western countries that dominated the world in the period, Japonism cannot be reduced to its cultural aspect, but must be seen as a movement that changed the aesthetic consciousness worldwide. The adoption of audacious combinations and arrangements of highly colored surfaces are just few examples of the influence of Japonism on design. This clearly shows the considerable impact of the diffusion of Japonism at that time. At the time, European realistic painting did not allow contour lines. In this painting, the black lines of the pants, which were drawn to emphasize their contour, are viewed as proof of the influence of ukiyo-e. This influence is also noticeable in the background, which was a simple colored surface; this type of simplification was not common at that time. The influence of Japanese surface composition is perceptible in the design of this poster. 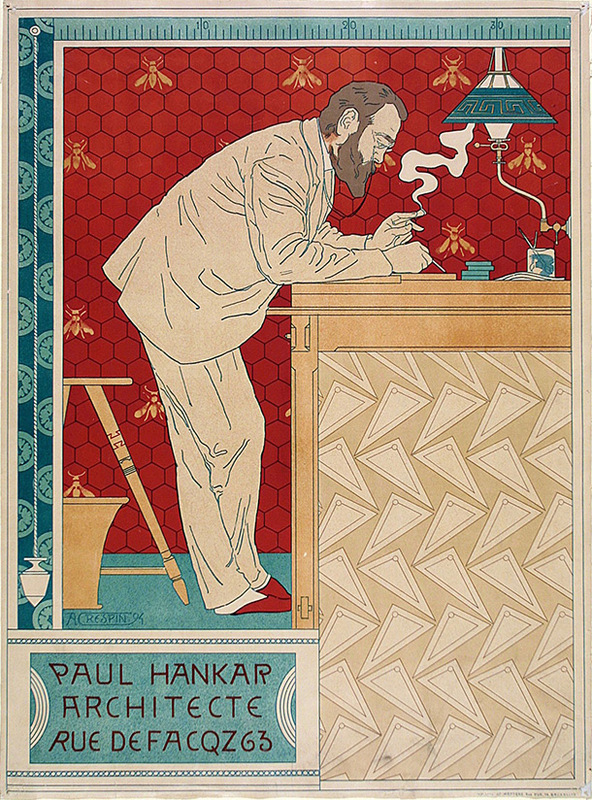 Although the character is not at the center of the image, there is still symmetry in the painting thanks to the use of colors, shapes, and space. The influence of the Japanese ways of expression can also be seen in how the smoke is drawn and in the pattern repetition. 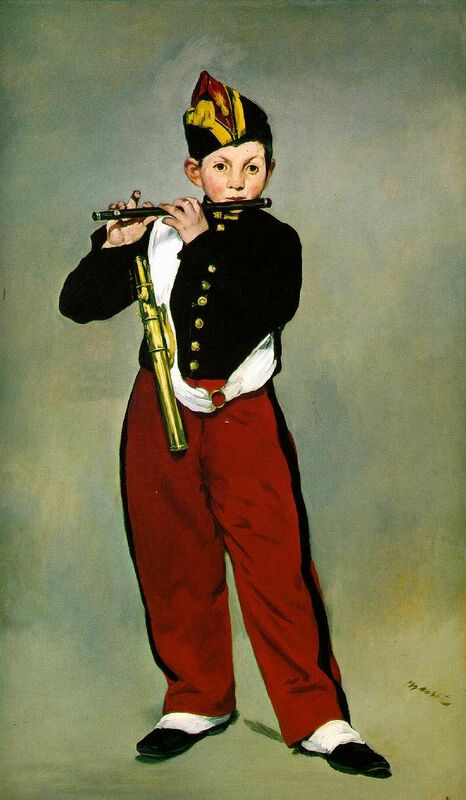 In that period, fashion could also free itself from the shackles of conformity, in the same way painting had just done. 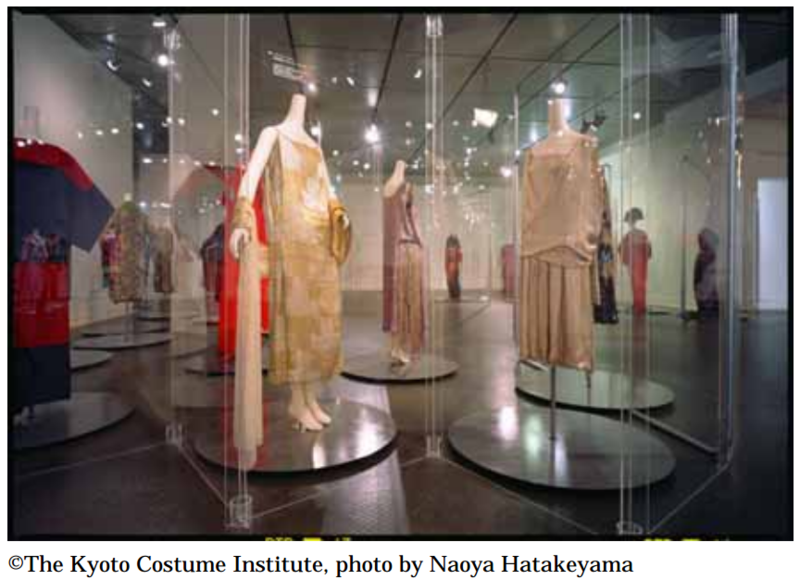 Japan not only had an impact on art, but has also deeply influenced fashion in Western countries, where gowns with designs inspired by kimonos were worn by the entire high society. There are also more recent examples of the fascination that the unique Japanese approach inspired throughout the world, such as the famous Louis Vuitton monogram, which would have been inspired by the Japanese mon (emblems), and the large success met by the Japanese designers during the 80s. Japonism has a much broader meaning than just ‘Japanese style.’ It is a set of values that comes from the unique Japanese aesthetic sensibility; a set of values that was totally new to the Western world.